Redwood City, California | November 20, 2017 — This holiday season, people are coming together to help those in need in their communities. Whether it’s fundraising to make sure people at a local shelter have a meal on Thanksgiving or building homes in Mexico as part of an annual volunteering trip, hundreds of people have turned to GoFundMe to give back. In the past 30 days, over 30 campaigns have raised more than $170,000 to help people in their communities. 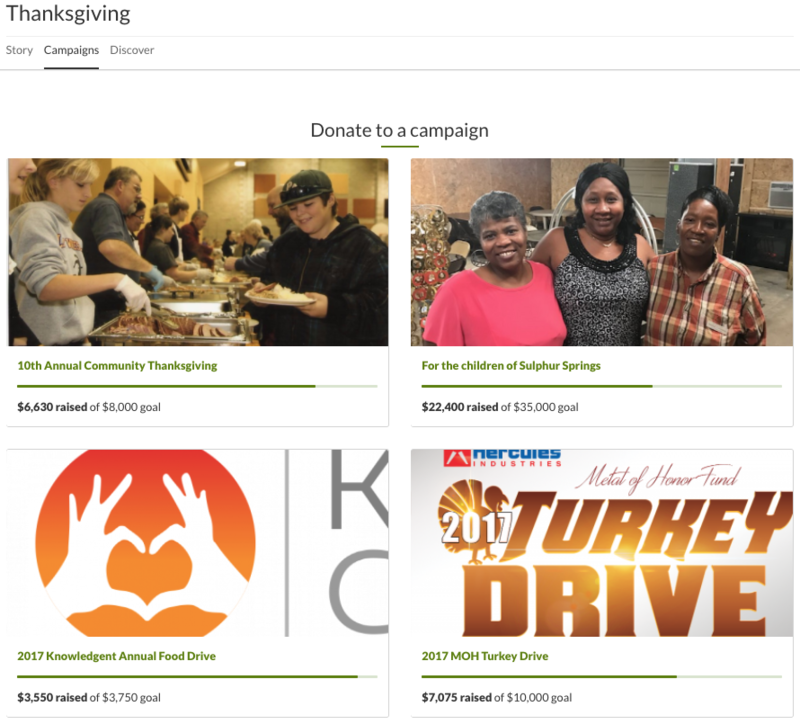 GoFundMe has created a centralized location for campaigns that are celebrating the holiday by giving back. To find campaigns in your area, click here. My name is Brian Balmages - I am a composer. This campaign is to support the homeless this holiday season. For your donation, you will receive score and parts to "A Solitary Wish" for string orchestra and piano (completed October 17, 2016). The program notes below best describe the entire campaign. 100% of the amount collected with go to charities benefiting the homeless… To see a perusal score and hear a recording of the string version, visit here. The piece is written to fall around a grade 2.5 - 3 so it is widely accessible, but it does not sound like an "easy piece" so it will work well with high schools, colleges, community bands and more! Here we are preparing for our 9th annual Thanksgiving Homes for Hope trip… We are humbled and so thankful to be a part of bringing the hope of a new home to these families. To see them light up as they realize they will now be safe, dry and warm is a gift beyond words… If you would like to partner with us through prayer or financial support it would be greatly appreciated! Our Community group has worked with local charities since 2007. Together we have provided and delivered over 1,500 baskets of food to local families in need for Thanksgiving. We collect money, purchase a complete traditional meal including everything from the turkey to the pies and more. We assemble and wrap the baskets with bows in a fun family environment and then deliver the baskets anonymously throughout Monmouth County. It has become a favorite holiday tradition for all who volunteer and we cannot do it without your donation. Please help make this our best year ever and join us in spreading Hope, Inspiration, Gratitude and Joy. Baskets cost about $40.00. My name is Saman, and I am the founder of Sam Studios Los Angeles (SSLA), an apparel production company, located in Downtown Los Angeles. Last year, my company and closest group of friends decided to PERSONALLY donate and contribute to the homeless in DTLA on Thanksgiving Day…We created 333 packages, including: a beanie, a long sleeve, and a t-shirt hand out. We touched 333 homeless men, women and children with the help of our generous donors and closest friends - all with the intention of creating a special memory for the people that need it the most. This year, we are proud to announce our partnership with Creations For A Cause (CFC), a socially-conscious e-commerce company with the mission of ‘Thinking Globally while Acting Locally.’ With the partnership of CFC and SSLA, Project Warm Winter is increasing our donation efforts to OVER 1,000 PACKAGES, that includes over 8,000 UNITS OF GIVE AWAYS to the homeless!! !